The cut shot called "Home Again" is the most important in pool and billiards to master. 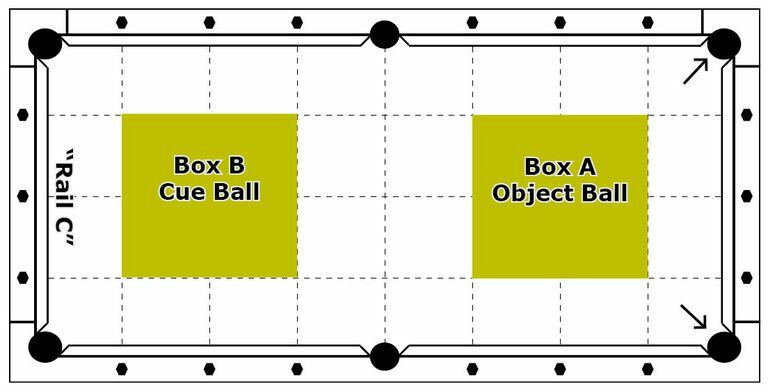 The area between the head rail and two diamonds distant, a roughly rectangular space where the cue ball is placed by hand for the opening and other shots of certain pool games, is the kitchen. The "bottom quarter" of the pool table, the area marked by the imaginary line between the two diamonds closest to the player along the long rails to the head of the table or the head rail on the break, is called the kitchen. Numerous leagues and tournaments have gone to ball-in-hand play for 8-Ball and 9-Ball competition that it seems only the old-timers and avid Straight Pool or One Pocket players can find the kitchen—but you need to know its limits on the break. Open Breaks and the Kitchen "Meal"
It is illegal for most games requiring an open break to place the cue ball beyond the kitchen. Take full advantage of the legal limit of this rule, however. Place the bottom of the cue ball, its "South Pole" where you like for the break atop the head string, the imaginary line between the second diamonds. This shortens the route your cue ball travels to impact. Becoming a powerful breaker without this advantage is difficult. Those who bridge on the short rail are wasting a lot of power as the cloth eats away the momentum of the struck cue ball. Don't let the kitchen consume your break's power. The illustration that accompanies this article shows the table areas I mark for my famous Home Again Shot, the ultimate pool training tool. If you shoot the cue ball from your choice of space in Box A with zero sidespins and no follow, just plain old center ball, and gently enough to drive, say, a cue ball into a ball a foot away to score in the pocket (soft to medium speed) the cue ball will pocket the object ball to your choice of far corner pocket from somewhere you've chosen in Box B, and roll home again into the kitchen. Add excessive topspin to get home, making both the object ball sink and the cue ball positioning taught. Steer aim with your cue stick, that is, try too hard to sink the object ball rather than aiming and focusing on a smooth, gentle stroke. Overall, shooting the cue ball gently scores the object ball, and the cloth itself wears the skidding action of the cue ball so that it has beautiful rolling follow at impact to bring it three or four rails home again and deep into the kitchen. This stroke will teach you a great deal about how the pros play pool. The Home Again Shot is what I use as a billiards expert to warm for a tournament and fast. Just two or three thoughtful strokes on this one help smooth and calm my stroke. 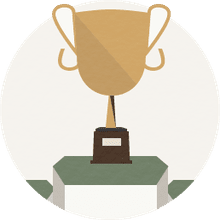 Again, if you take your best casual, not tense, aim at the object ball and let the stroke go, you will be surprised how wonderfully the cue ball zings around the table and the object ball rolls to the bottom of the pocket. "Cook something good from the kitchen, pal, or suffer the consequences,” leered Detective Crockett. "Billy rolled the cue ball around the kitchen with his cue, even as he vowed revenge against Joe, the hustler."